Not up yet. Please check back later. Parajunkee is also running a Follow Friday meme that we love. What’s on your current playlist right now? Well, I use my iPod almost exclusively for audiobooks (yes, I am a geek, thank you very much) and right now I’m listening to The Hunger Games (Has anyone heard of this book? It’s SO WONDERFUL!!! LOL!). But I do have music on there and my favorites are from Guster (yes, Cutie, I lubs them), Annie Lennox and The Eagles. Danny discussed how charmed she was by The Demon Trapper’s Daughter by Jana Oliver? Danny reviewed Fallen Angel by Heather Terrell and shared her love of the love story in it! This week’s In My Mailbox was by Heather. Come see what she got! Heather reviewed The Peach Keeper by Sarah Addison Allen, and she loved it! Come see why. Pushy reviewed Relicmaster: The Dark City by Catherine Fisher, the not quite new series that’s finally being released in the US. This is the start of what promises to be an amazing quartet of books! Danny’s up to bat again with this week’s “Waiting on” Wednesday. Danny got the chance to sit down with Ethan from Chloe Neill’s Chicagoland Vampire series. 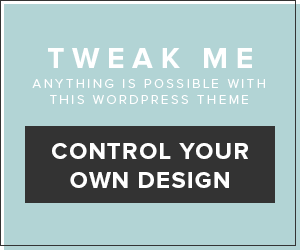 Check out the post for a chance to win some Hard Bitten swag! Pushy poses the question is it ok to tweet novel text in the first of what she hopes to be an on-going feature, Pushy Wonders. Stop by and add your two cents! 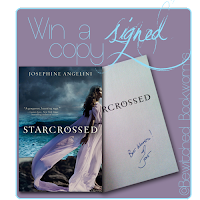 You still have the chance to win a signed copy of Starcrossed !! Woott, check out the character interview with Helen and Lucas and enter to win!! And don’t forget!! 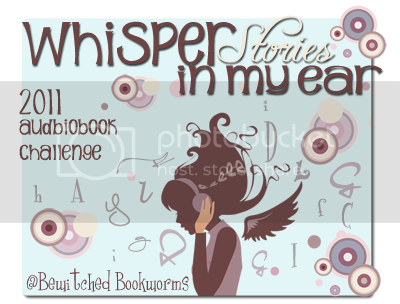 If you like audiobooks: hop on over to our Audiobook Challenge for 2011! It’s going to be great fun and a great way to enjoy books even when you can’t have one in your hands. Check it out!! Hopping through. I like The Eagles too! I'm an old follower stopping through! I get called a geek for having audio books on my ipod too! already a follower but stopping by to wish you all an awesome weekend! I keep erasing music from my ipod to add more books. I'm down to a couple of artists but it's worth it. I listen to audiobooks too, but right now I have music on my playlist. Hi, Old follower renewed. 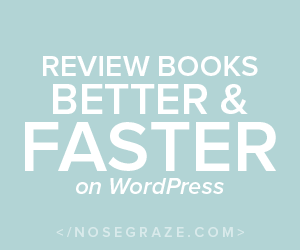 I have tried audio books and I think I have a short attn span b/c it doesn't work for me. Which is weird b/c I loved the old NPR show Radio Reader. Old follower stopping by! Have a wonderful weekend and drop by if you get a chance!